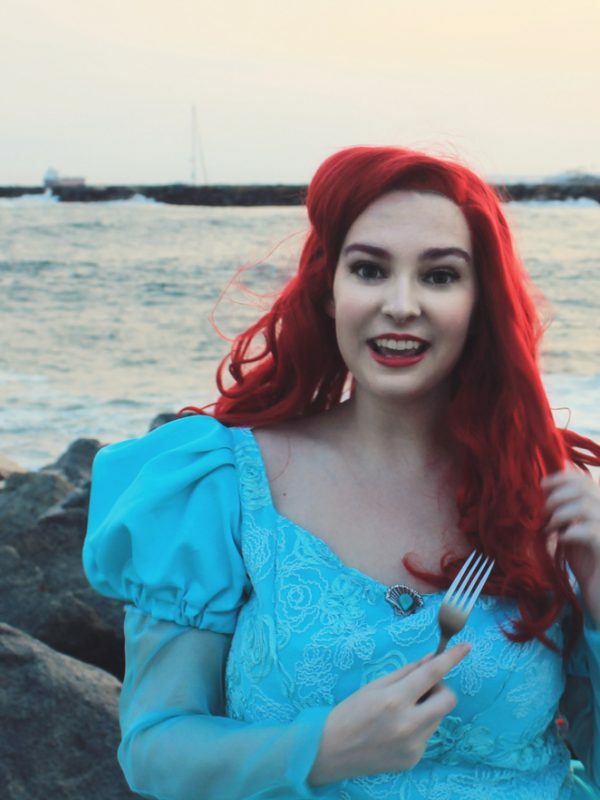 While Ariel may not be my favorite princess, I can’t deny that she has a gorgeous aesthetic! 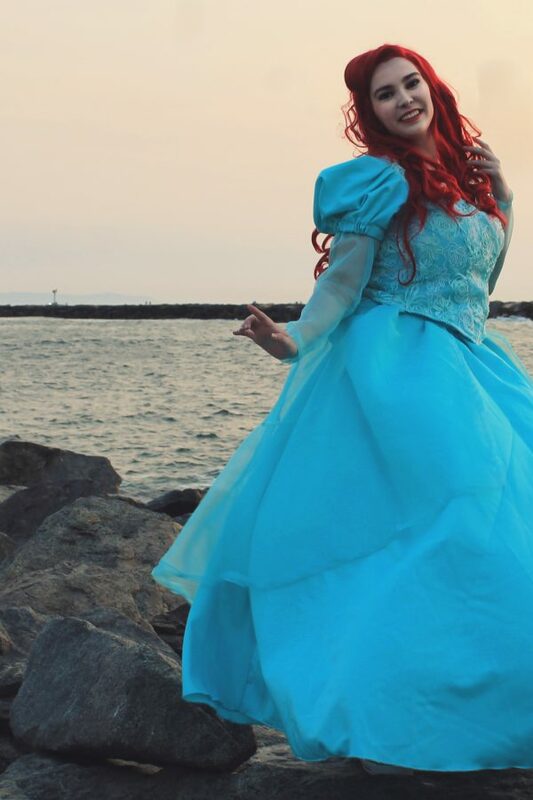 While she has many marvelous dresses, Ariel’s Park Dress from the disney parks is my absolute favorite. The seafoam green color is one of my all time favorite colors, so I felt this dress calling to me. I used a simplicity pattern for the dress and didn’t really alter it, since it worked so perfectly already for what i was making. 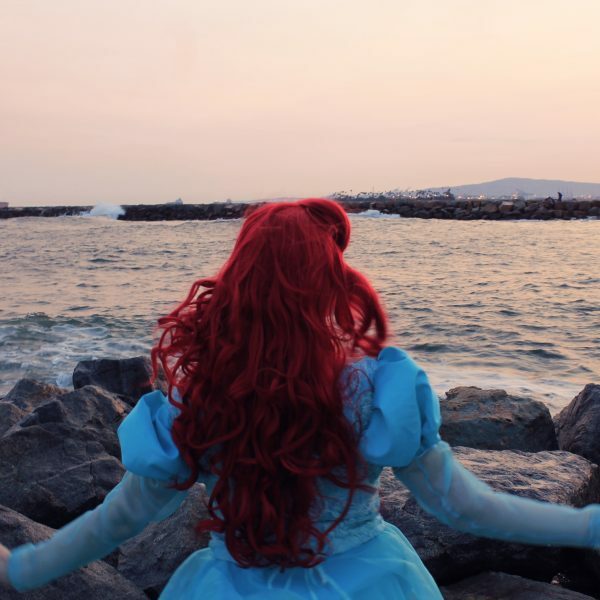 I took this cosplay with me on vacation to Los Angeles, and my friend Adam was kind enough to get photos of me on the rocks at the beach. 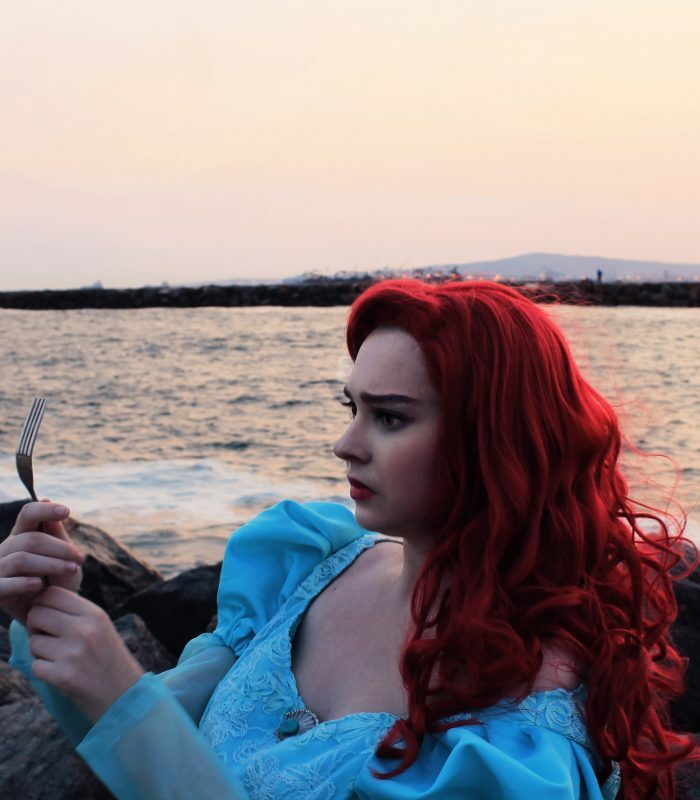 I think it was the perfect place for an Ariel shoot. 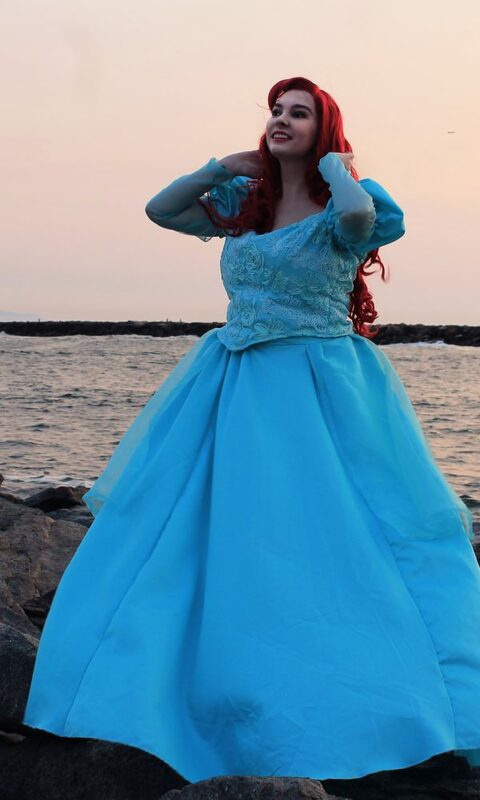 And now that I have the wig, I am sensing more Ariel cosplays to come in the future, but for now, enjoy my take on Ariel’s Park Dress.